A new captive breeding centre for Iberian Lynx was officially opened on Friday 22 May at Silves in southern Portugal, the first such centre to be completed outside of Andalucia, Spain. 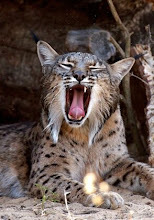 The new centre will form part of a network of lynx breeding centres, including three existing centres in Andalucia (at El Acebuche in Doñana, Zoo Jerez and La Olivilla in Jaen Province), and further planned Spanish centres in Andalucia, Castilla-La Mancha and Extremadura. The work of these centres is being coordinated by a multi-lateral commission involving various Spanish regional governments, as well as the environment ministries of both Spain and Portugal. The new centre at Silves is being funded by Águas do Algarve as part of a series of compensation measures stipulated by the European Union for the construction of the controversial Odelouca dam. Other measures will include habitat and rabbit recovery projects in southern Portugal. 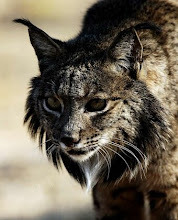 To date, the Iberian Lynx captive breeding programme has been very successful, with the current captive population exceeding 60 individuals, and thus ready for supplying animals for reintroduction into the wild (initially in Andalucia), as well as for founding new breeding centres. The new centre at Silves will hopefully soon receive its first lynx, and has capacity for up to 32 individuals in 14 large cages constantly monitored by video cameras and dedicated staff.